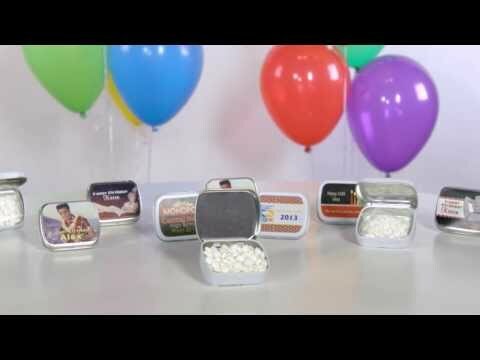 Start your summer barbecue off with personalized mint tin favors! These Summer BBQ Personalized Mint Tins are sure to create excitement at your next picnic celebration. Each cheeseburger and hot dog background contains surrounded in blue. This Summer BBQ Mint Tin measures 2 1/4" wide x 1 3/4" high x 5/8" deep and includes 0.45 ounces of peppermints. Assembly required.